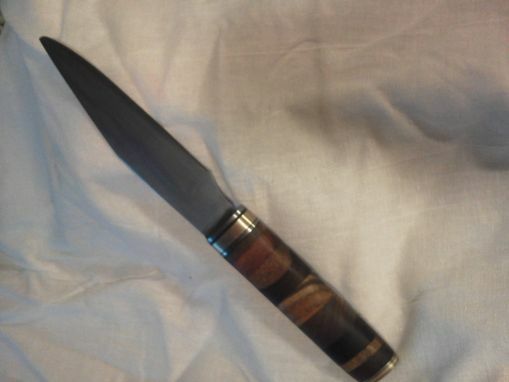 This is a knife made of many Exotic woods. 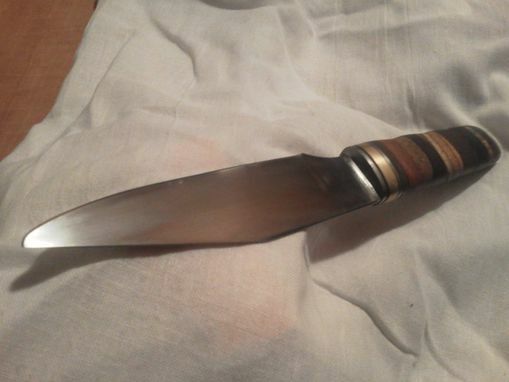 The blade is A2 recycled from a snow plow cutting edge. 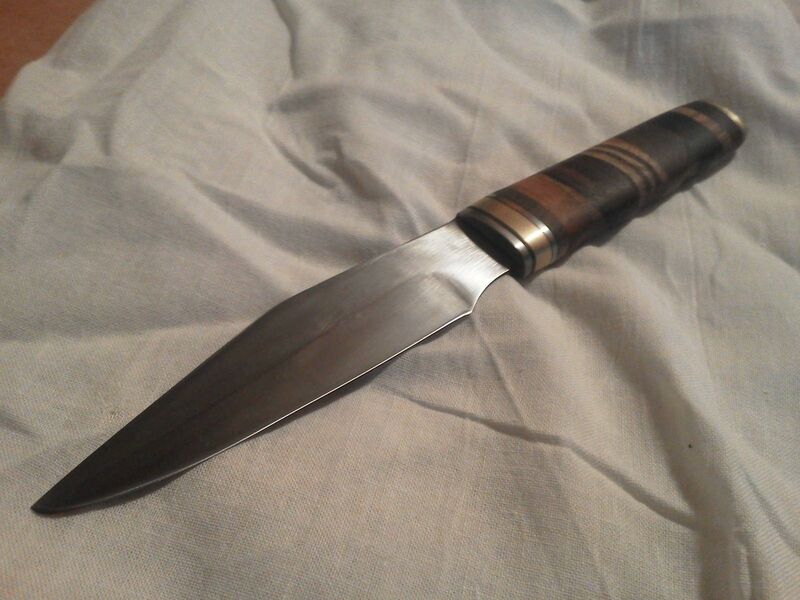 The blade is very thin and flexible with a razor sharp edge. Dimensions: The blade is 5.5 inches with the overall being 10 inches.